Deutsche is a German telecommunication company headquartered in Bonn, Germany. The present enterprise was formed as a result of a split from Deutsche Bundespost in 1989. It offers fixed network services, mobile operations and system solutions like ICT products and high-performance IP based networks. It has a market cap of $80 billion as of May 2017. The group offers its services in more than 50 countries across 3 continents. 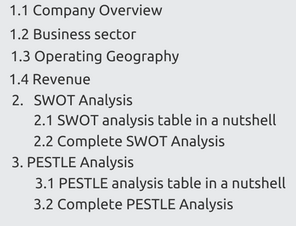 Deutsche has divided its operations into 4 segments and their activities into 3 segments by region. The company caters to 168 million mobile customers, around 28 million fixed-networks and around 19 million broadband lines and has a workforce of 217,300 employees as of December 2017. It ranks #77 in Forbes’ Global 2000. Its mission is to mobilize personal, social and business networking. 1. Leading telecommunications player with growing market share: Deutsche Telekom is one of the leading integrated telecom player globally with 168 million mobile customers, around28 million fixed-network and around 19 million broadband lines. The company also offers Internet-based TV products and services, as well as ICT solutions apart from the traditional mobility devices and has grown its footprint as per its set targets in 2017. The addition of new customers to its network in both mobile and broadband business and TV increased revenue due to Un-carrier strategy in US and innovative marketing strategy in Germany and Europe. Market share is growing due to growing infrastructure of the regional operators in Germany. New acquisition of fixed-network providers UPC Austria Tele2 Netherlands have further helped in growth of its market share. The market share of new broadband customers increased by 104,000 which is a 33% growth, recording a 6% growth in Q4 FY2017. Mobile customers grew by 2.1% and fixed network lines subscribers grew by 2.1%. 94% German population was covered by Deutsche’s LTE network. 2. Success of Fibre-optic network: Fibre optic networks were laid down in Germany in 2017. The group laid new fibre optic cables spanning over 40,000 km and will extend to 60,000km in 2018. This will drive a larger customer base towards Deutsche Telekom. In Germany, 2017 was marked by efforts to build out fibre-optic infrastructure. Deutsche Telekom laid 40,000 kilometres of new fibre-optic cable in 2017, with plans to up this figure to 60,000 kilometres in 2018. Customer base has also grown in fibre optics segment. The number of lines rose by 41% to cater to 30 million households. 3. Consistently strong financial performance supporting expansion: Deutsche Telekom has consistently delivered strong performance over the last few years with consecutive revenue growth from 2012. Its revenue has increased from 58.2billion Euros in 2012 to 74.9 billion Euros in 2017 with 2.5% growth over FY16. The free cash flow grew by 11.3% to 5.5 billion Euros in FY17 with net profit surging by 29.4% over FY16 to 3.5 billion euro. This is a result of operational efficiency which drove cost efficiency and hence higher profits. The spectrum licenses’ impairment losses were recovered by the increased amortization of intangible assets. Sound financials lead to higher investment in mobile networks and support expansion plans. The company spent EUR 12 billion in future telecom technologies in FY17 on top of EUR 11 billion in FY16. These investments are possible due to consistent financial performance and strong cash flows which will help Deutsche Telekom in driving further growth. 4. Strong Footing in American Market: T-Mobile which is Deutsche’s American arm continued to perform well in 2017. In 2016 it added 8.2 million customers despite saturation in American mobile phone market. Netflix is a component of their Un-carrier campaign which will make T-Mobile more lucrative for potential American customers. Wireless market has expanded in America and penetration of smart phones has grown to 92% and data consumption grew to 6GB/month in FY 2017. Branded post-paid mobile customers grew from 34.4 million in 2016 to 38 million in 2017 and branded prepay customer base grew by 4.5% in 2017. 5. Strategic partnerships for greater synergies: Over the last fiscal year, Deutsche has partnered with Netflix, EWE, Daimler AG and DKV Euro Service GmbH & Co, Fraunhofer Institute for Material Flow and Logistics in Dortmund, KONE, Huawei, etc. for improving its services. Hit shows which are shown only on Netflix will be broadcast on their users’ screens in HD also. This will benefit their international subsidiaries. They have launched new offers like Unlimited rate plan with free access to Netflix for 6 months. With EWE 1 million private household will be connected with fibre-optic network. BT & T-mobile will connect their networks in specific cases. It will increase T-Mobile’s market penetration. Alliance with Fraunhofer will optimize processes in the manufacturing, logistics, and aerospace industries. Partnerships increase their customer base as more services are offered which increases their earnings. 1. Impact of Global macroeconomic environment: Economic growth was positive in most of DeutscheTelekom’s operating regions due to strong consumption demand and trade momentum. GDP in Germany increased by 2.2 percent driven by exports and US economy grew by 2.3% and supported their core business’s growth. Low unemployment rates and high purchasing power in Europe led to higher subscription rate and higher profits. Slow recovery from recession in Greece led to sluggish demand behaviour which impacted the willingness to spend on telecommunications and ICT services. Special taxes continued in some of its operating regions to support state finances which adversely affected Deutsche Telekom’s net income. 1. Diversity in Deutsche’s workforce: Deutsche Telekom employs men, women and people from different age groups from 150 nations to encourage ideas from all segments of the society. This diversity helps keep their competitive position as employees work together and strategize for creating status and age related packages. It also helps in keeping pace with the changing social trends like demographic changes as different roles are assigned to women and men alike. It gives equal opportunity to get every employee’s distinctive traits which develops the group’s organisational structure. 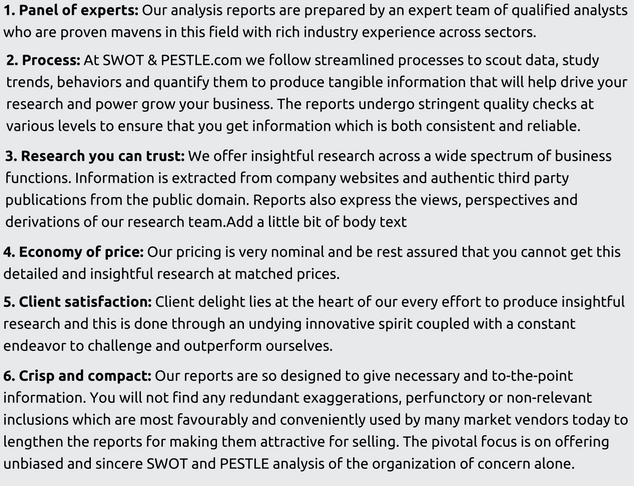 Deutsche Telekom SWOT and PESTLE analysis has been conducted by Kanupriya Sheopuri and reviewed by senior analysts from Barakaat Consulting. 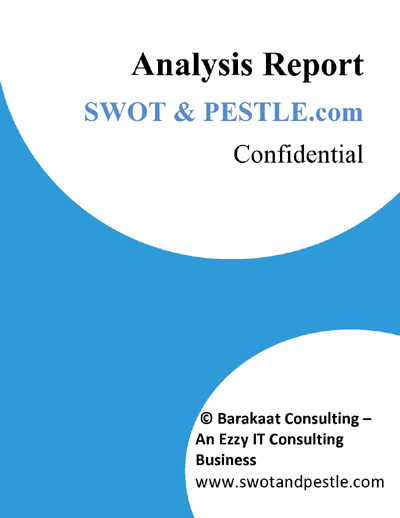 Copyright of Deutsche Telekom SWOT and PESTLE Analysis is the property of Barakaat Consulting. Please refer to the Terms and Conditions and Disclaimer for usage guidelines.